This is one little cakes once you’ve tasted it you would want more and more. 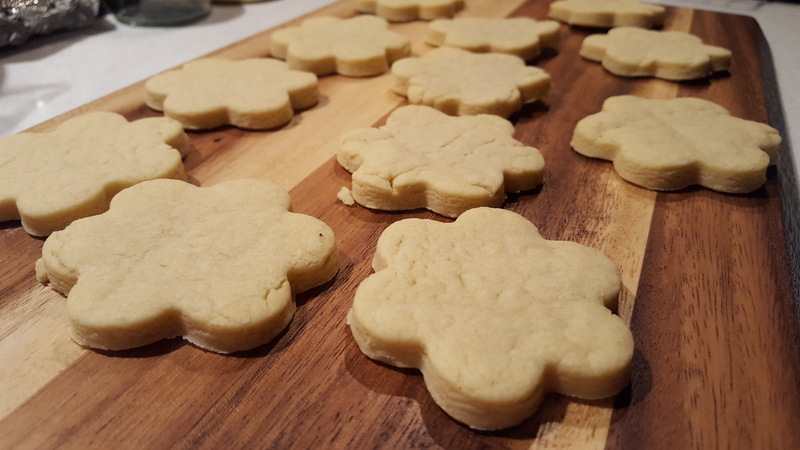 Buttery, melt-in-the-mouth little cookies that shouts deliciousness. 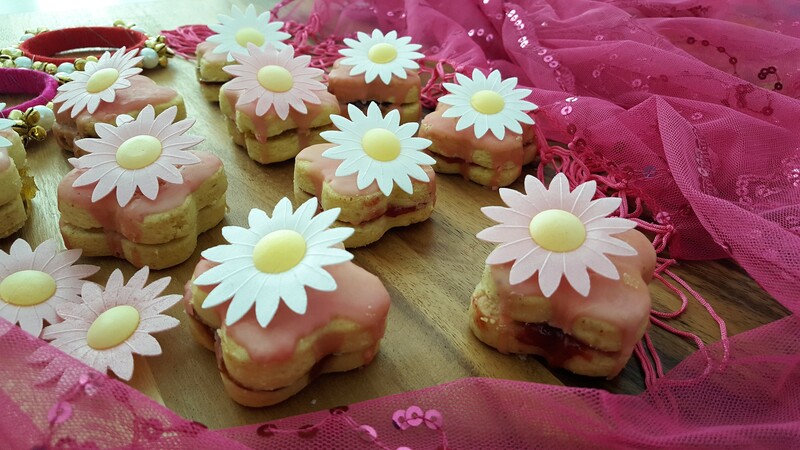 They are called “Napolitaine”, a very popular biscuit in Mauritius, similar to a shortbread sandwiched together with jam and covered with a light icing glaze. Melt in the mouth buttery sweet biscuits that can be found in all the patisseries, local shops in Mauritius and also sold as a street sweet treat. “Napolitaine” can be made in different shapes. 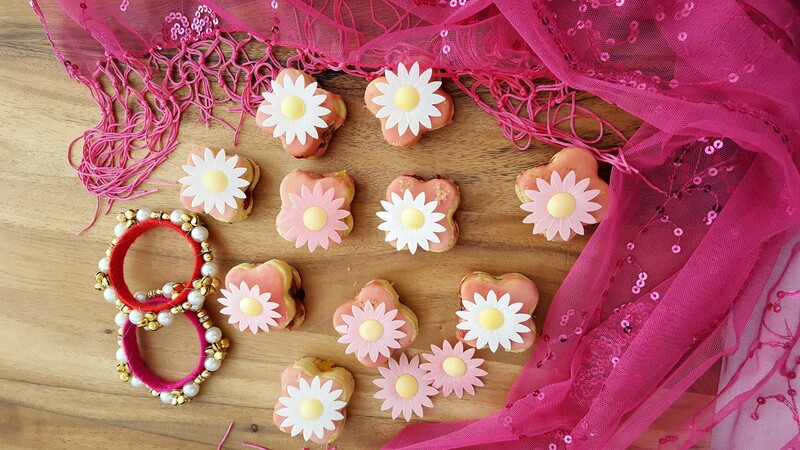 The most popular one which I call the traditional shaped ones are small circular disks and covered with a pretty pink icing. I have chosen this very little delight to share. 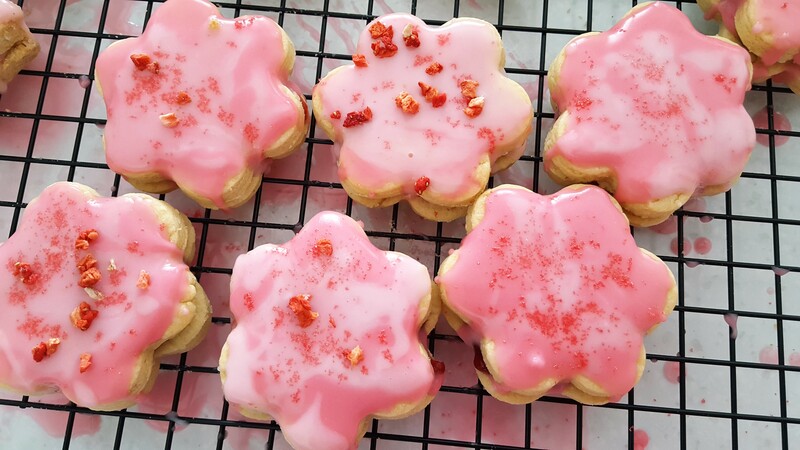 I made these Gluten free Napolitiane but you can substitute with plain flour. 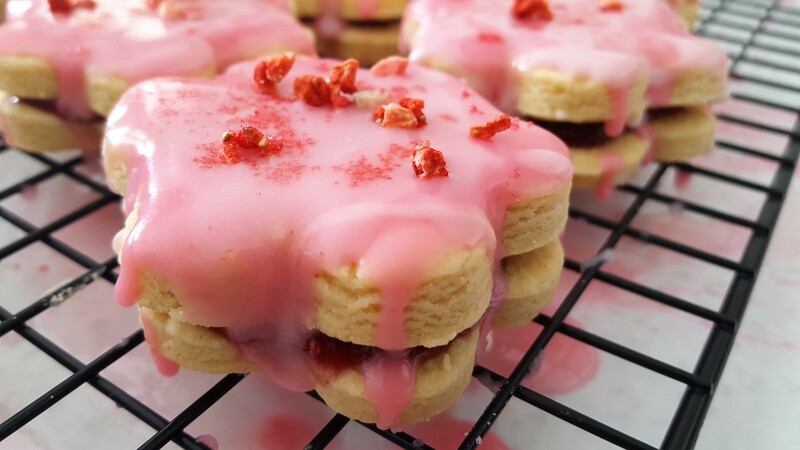 I personally do not like too much sugar glaze, but by all means you can cover and encase the whole biscuit with the icing glaze. 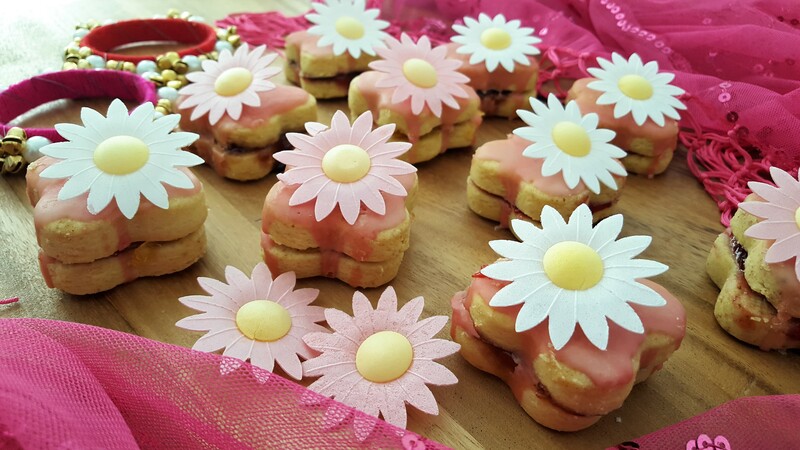 That the beauty of homemade baking you can accommodate to your own taste, and make them as unique and rustic as possible. Pre-heat the oven at 200°C. Sift flour and salt in a bowl, add the softened butter and mix until well until combined. 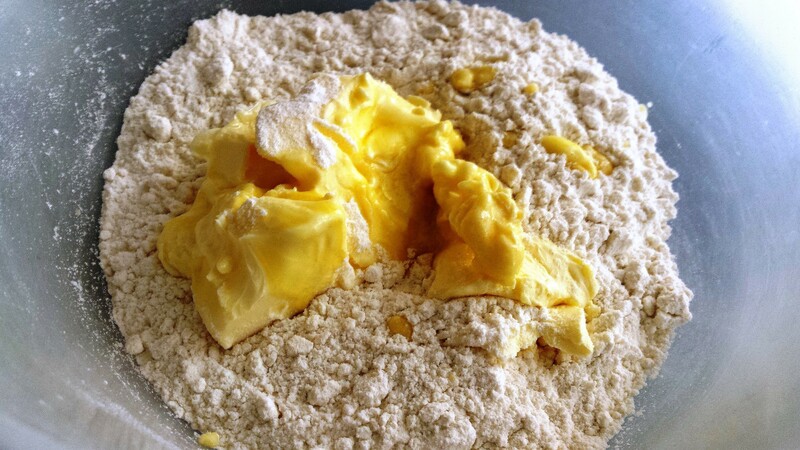 Using your fingertips rub the butter into the flour until all come together into a soft smooth ball. You may find it a little difficult to come together, but don’t be tempted to add water (see as illustrated in picture). Divide the dough into 2 parts. 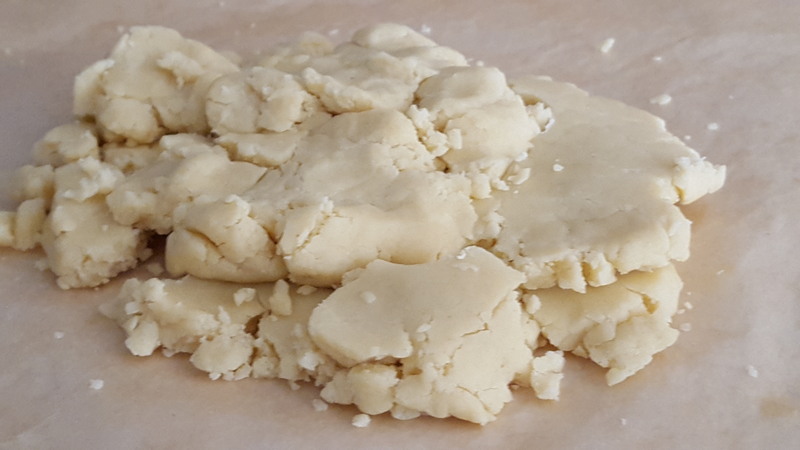 Place a grease proof paper on the work surface, place one part of the dough on the paper, and place another sheet on paper on top. Roll the dough about 1cm thick in between floured grease proof paper. 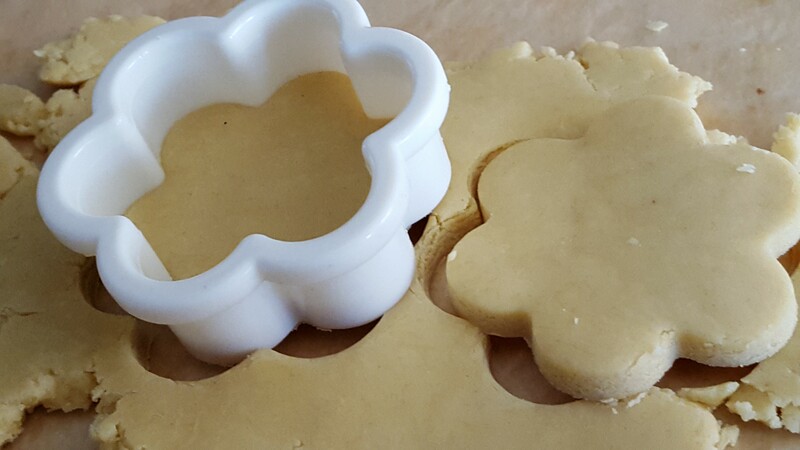 Cut out shapes with a cookie cutter, place on a tray lined with parchment paper. Bake for 20 minutes, making sure not to over bake them. These biscuit need to remain pale in colour. Remove from the oven and leave to cool down on a rack. 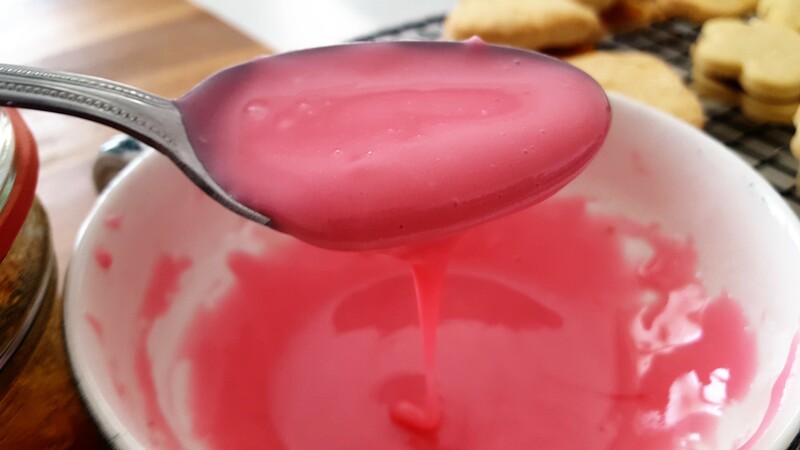 While this is happening prepare the sugar glace by simply mixing some water and food colouring in the icing sugar to obtain a thick paste. 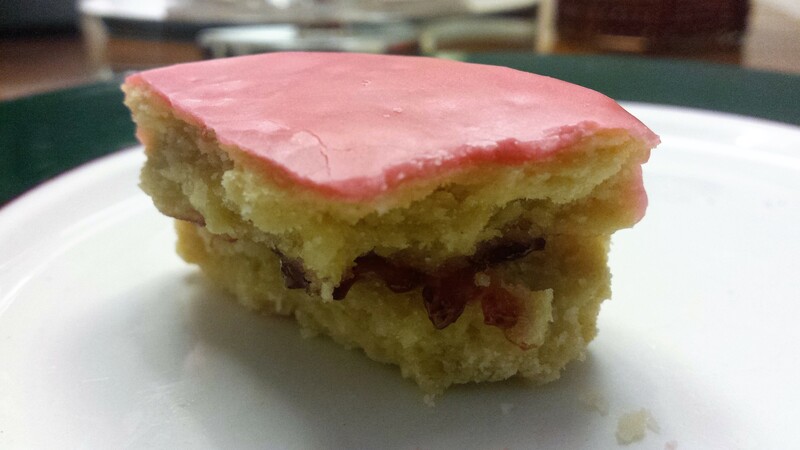 Once cold spoon some jam in the centre of one cookie, gently place another cookie on top and press lightly. 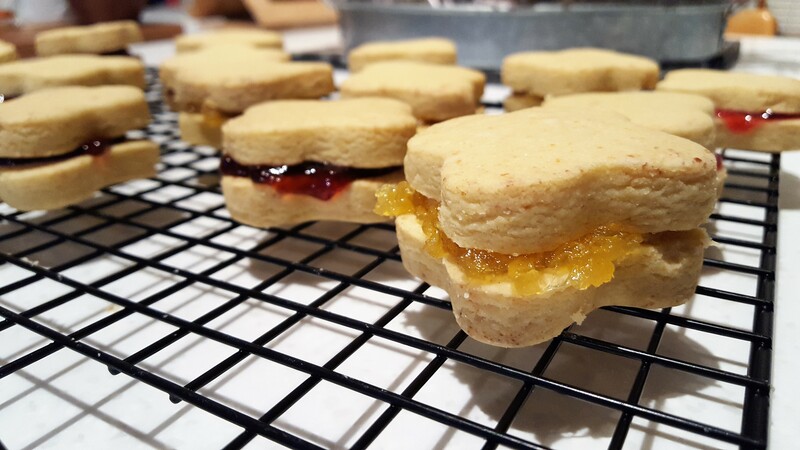 To ice the sandwiched biscuits, place on a grill with a baking tray beneath. Pour or spoon the glaze over the biscuits. 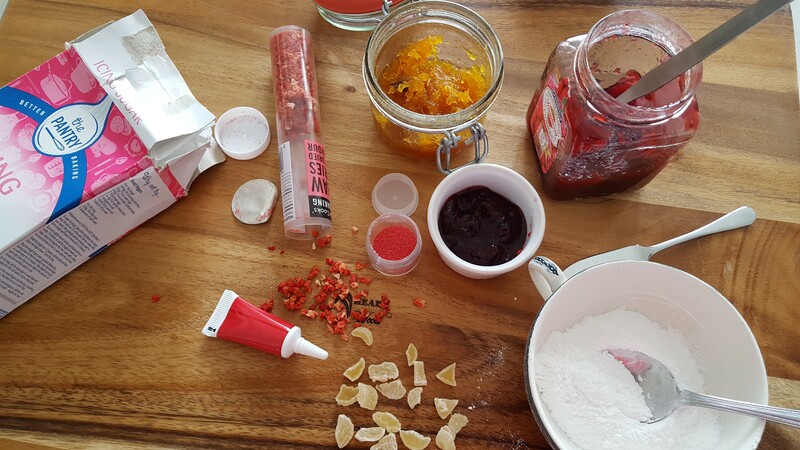 Decorate with glitter sugar or candied fruits. 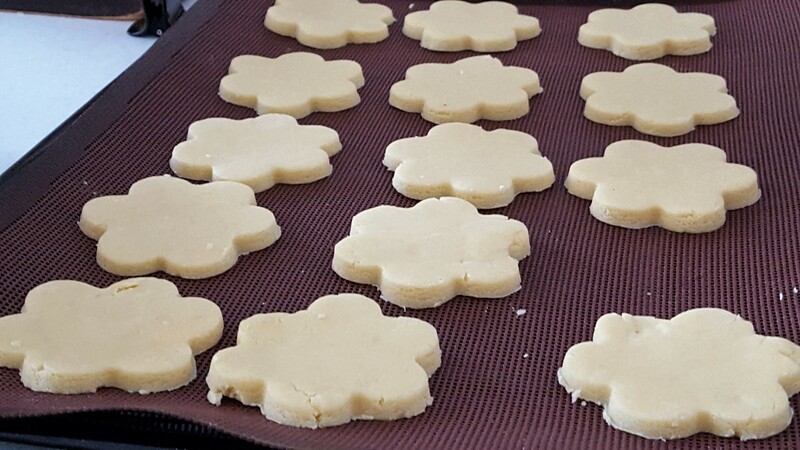 Let the icing cool until firm and enjoy. Brinda’s Note: You can make them in any shape and explore on the decorations.